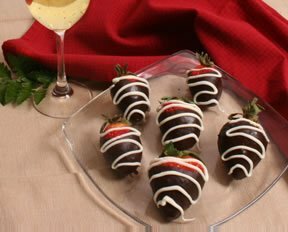 Plump, juicy strawberries coated in sweet chocolate are impossible to resist. Chocolate covered strawberries are an attractive addition to any table. Make this special treat for your Valentine and it is sure to put a smile on their face and love in their heart. See tips and advice on preparing chocolate fondue, along with other types. Get some great ideas on what to dip for a fun treat on Valentine's Day. Who doesn't love the sweetness of creamy, smooth truffles? See instruction on how to make these delectable truffles for your special Valentine.